Churches destroyed a year ago by Islamic extremists and police in Aceh Singkil – a rural ‘regency’ in Indonesia’s only Sharia-ruled province – have still not been rebuilt because of discrimination against Christians by local authorities, say church leaders. However, despite the troubles, church membership is climbing. 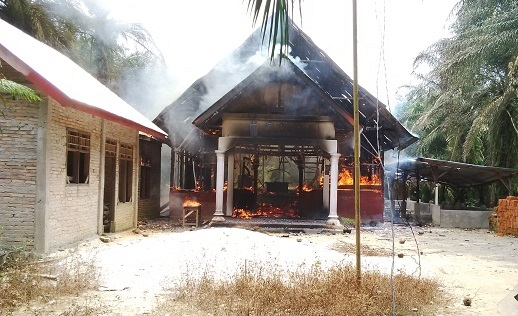 Hardliners started destroying Aceh Singkil churches in October 2015 following clashes between Muslims and Christians in another part of the country. Some churches were razed by extremists and others demolished by police following demands from residents that all unlicensed churches be pulled down. Video from Oct. 2015 shows an angry mob marching and setting fire to the Indonesian Christian Church in Sukamakmur village, Aceh Singkil. Officials in uniform seem unable to stop the attack on the church which had been a place of Christian worship since 1968. Of 11 churches demolished last year, the members of six continue to meet in tents. The rest have joined other churches, but many live in fear of further violence. “The perpetrators live in the neighbourhood and they always watch my church members’ activities,” said Noldi,* whose church meets in two sites 25km apart – to cater for its growing numbers. The heavy rain in largely tropical Indonesia can be a problem in temporary structures. “[Rain] has happened many times, but we still continue the service. Even if the tents are leaking and rainwater or mud is splashing in from the outside, no-one ever leaves the service!” said a member of the Indonesian Christian Church. The authorities allow Christians to meet in these temporary structures, but church leaders say they are nevertheless playing politics with plans for new buildings. Churches fear that these authorities are reluctant to grant them planning permission because it would not be popular with Aceh’s largely Muslim voters in the run-up to local elections in February 2017. Alongside this, all local churches that were not destroyed must become licensed, but the registration process is slow and churches fear it will not be prioritised during election campaigning. Lamhot*, a Christian activist, told World Watch Monitor that it is already too late to expect building permits to be issued by the authorities now that candidates have started registering for the election. Lamhot’s church was burned down last year and services are now held in tents in the nearby woods. Even this also requires a permit, denied by the government to many hundreds more on security grounds. Another setback is the formula planners insist is used to estimate the size of a new church. They stipulate that estimates must be based on the number of church members with local identity cards, multiplied by 0.8 metres. Outsiders without local ID cards may not be counted, so new churches are in danger of being granted too small a plot if most of their members are not local. Local politicians are putting added pressure on the Church in the lead-up to elections. 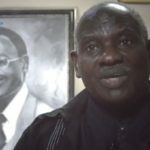 The regency chief who instigated last year’s demolition of unlicensed churches – a move agreed by Christians following last year’s religious clashes – wants each church to appoint five people to his election campaign team. Christians believe it is a bribe to win him their backing, but understand that other candidates are less tolerant of Christianity. “Vote wisely for your leaders – our fate for the next five years depends on it,” Berutu told her congregation. Progress has been slow on another front too. Natanael ‘Wahed’ Tumangger was convicted of killing a Muslim in last year’s clashes. But the legal process that saw him sentenced to six years in jail was flawed, according to Christians who say he was not accompanied by a lawyer during police interrogation and that no proper evidence was shown during his trial. Later, the Council of Churches in Indonesia sent a team of lawyers to represent him. They said that the prosecutor mentioned a projectile and a gun, but failed to present any reliable evidence at the next hearing. The prosecutor’s statement on the colour of Tumangger’s clothes during the clash was the only ‘proof’ used against him. Local Christians say Tumangger’s sentence was passed to satisfy the Muslim community. 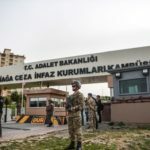 In jail, news had spread among inmates that a Christian had killed a Muslim, so Tumangger was beaten regularly during his first weeks behind bars. His first few months were spent in a room only 6×4 metres, with 26 other inmates. “The prison guard didn’t let us out even for a few minutes. Those were miserable times,” he said of his experience. His wife remembered him being as pale as a corpse when he finally got out of that cell. Tumangger has been transferred to a better room – the same size, but with no more than six people. Prisoners normally ‘rent’ the room for an equivalent of US$300 for the duration of their time behind bars. However, Tumangger is an electrician and the head of the prison ’employs’ him as payment for the better room. 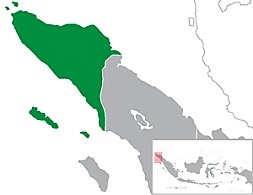 The Indonesian constitution guarantees freedom of religion, but by-laws in provinces such as Aceh can prevent these rights from being upheld. The Open Doors World Watch List 2016 cites Islamic extremism as the main source of persecution in Indonesia, which has the world’s largest population of Muslims. It’s ranked 43 among the 50 countries in which it’s most difficult to live as a Christian. In strictly Islamic regions like Aceh, Muslims converting to Christianity face pressure from family and friends to deny their new faith.